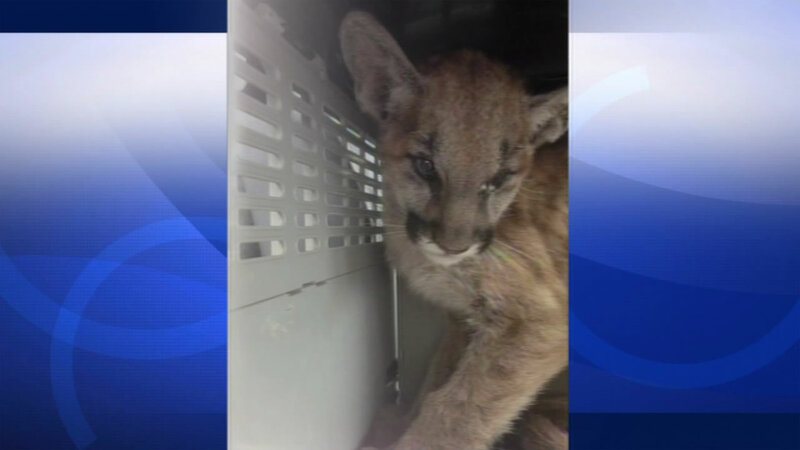 CALAVERAS COUNTY, Calif. (KGO) -- A mountain lion cub is recovering after being badly burned in the Butte Fire. State Fish & Wildlife officials are nursing the 4-month-old cub back to health. Volunteers found him Monday while evacuating the domestic animals near Mokelumne Hill in Calaveras County. They named him Fire Claw because the pads of his paws were badly burned. His condition is still fragile. "There are secondary infections, possibly a respiratory infection that can still set in so we can monitor its prognosis daily," CA Dept. of Fire & Wildlife's Marc Kenyon said. Once Fire Claw is healthy, he will either be placed in a zoo or another educational facility. CDFW says they'd like to remind the public that this was a very unusual circumstance and in most cases, it's best to leave wildlife alone. If you feel an animal is in distress, please call your regional CDFW office. Click here for full coverage on the wildfires burning across California.